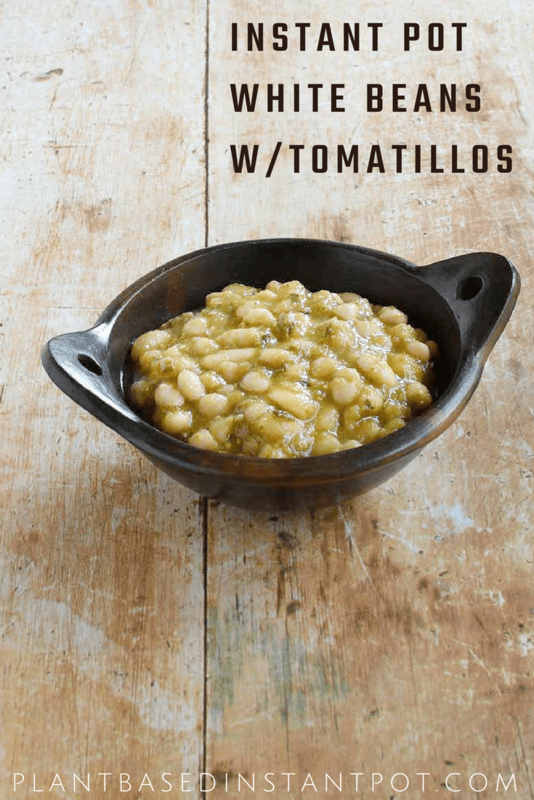 The only thing better than quick and easy Instant Pot White Beans is white beans with tomatillos, poblanos, and even more Mexican flavors! 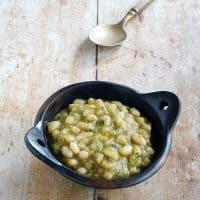 Instant Pot White Beans with Tomatillos recipe is one of my favorites. I love these in burritos, but they’re great as part of a bowl, or on their own with steamed veggies. Try the leftovers as part of a taco salad. 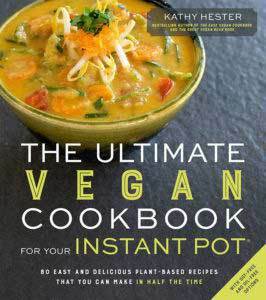 This recipe is from my book, The Ultimate Vegan Cookbook for Your Instant Pot. I know some of you already have it and I want to make sure that you don’t overlook this recipe. Also you can use other electric pressure cookers to make this as long as it has a pressure cooker function. 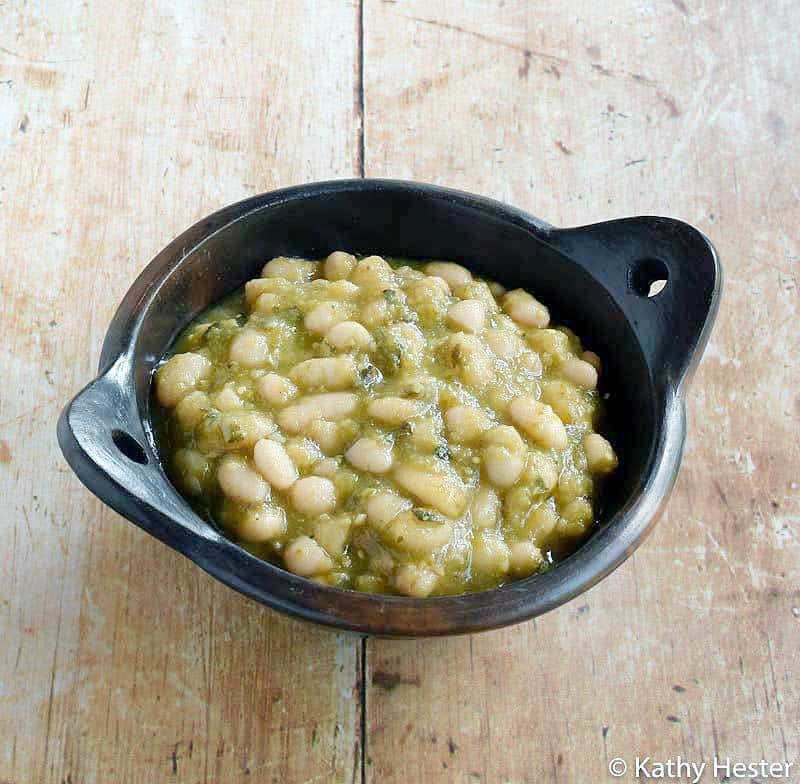 This recipe uses soaked Great Northern beans and gets cooked in your electric pressure cooker. Even though the beans are soaked, the recipe calls for them to cook for 35 minutes so that they break down a bit and get creamy. Are you reading this and wanting to make them right now? 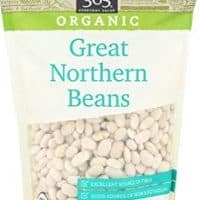 You can do a quick soak by covering the dry beans with a couple of inches of water and bring to a boil. Let them sit for about 20 minutes and they should be close to the softness of soaked beans. Even though they are know as husk tomatoes, they are different than green tomatoes. They are covered with a dry green husk that you remove to get to the tomatillo. Once you remove the husk they are a little sticky, so rinse them well. You do not need to peel them, you only need to remove the husk. The flavor is bright with some sour and acidic notes that really make this dish. Typically poblano peppers are not as spicy as jalapeños. With that said if you pick 2 different poblanos from the same plant one may be hotter than another. If you haven’t been to a hispanic market you are going to be thrilled when you see the prices. Vegetables like fresh tomatillos are sometimes more than twice the price at your local Whole Foods, so saving money is one reason to go. Another plus is you won’t see a selection of fresh or dried chilies better anywhere else. While you’re there check out the packages of spices and herbs. They are less expensive then most markets. Also see if your store makes fresh tortillas. There’s nothing better than being handed a pack of still warm corn tortillas! 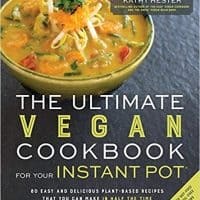 This is one of my favorite recipes from my book, The Ultimate Vegan Cookbook for Your Instant Pot. 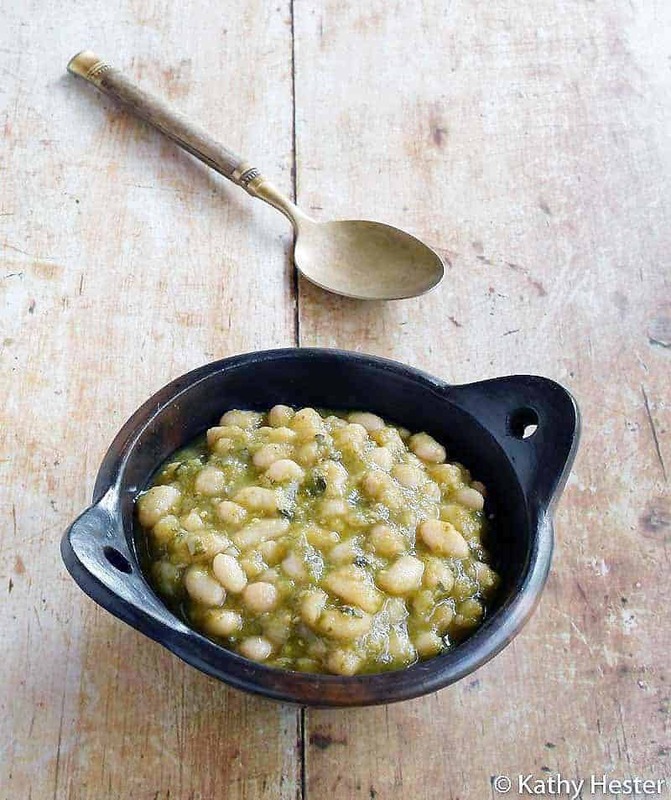 It's a one post meal that's just as great in a burrito or taco as it is with a salad and a piece of homemade bread. Prepare the sauté ingredients by adding the tomatillos, poblano, onion and jalapeño to your blender or food processor. Pulse until the veggies are in tiny pieces, but not pureed. Set the sauté setting on your Instant Pot to normal, or medium heat, and pour in the blended veggies; add the cumin and stir to combine. Cook for about 4 minutes to remove the edge off the onions and make the cumin more fragrant. Add in the pressure cooker ingredients. Add the white beans, water and oregano to the sauté mixture and stir to combine. Put the lid on and make sure that the steam release handle is sealed. Cook on manual setting at high pressure and set for 35 minutes. This was delicious! I mixed the finished product with brown rice, and since I don\’t use salt, I simply omitted it but I added in some lime juice to add a little zing! This recipe is definitely a keeper! Can you double this in the instapot? Do u change the times? You can double as long as you have a large enough Instant Pot. The times should not change. Hi! Recently moved to a small house w a teeny kitchen that won’t fit my big instapot. Will this recipe work in the new smaller 3 qt model? 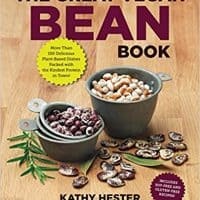 I have your Ultimate Instant Pot Cookbook, and am waiting to hear if your recipes will work in it. Have you used the new smaller model? Like it? Comments? Thank you so much, I’m a big fan of your recipes. I haven’t made it in a 3 quart, but I believe it should work. I will give it a go once I get home next week. I’m traveling without an Instant Pot.